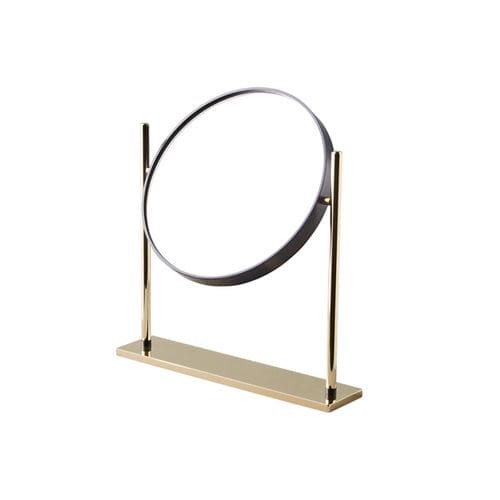 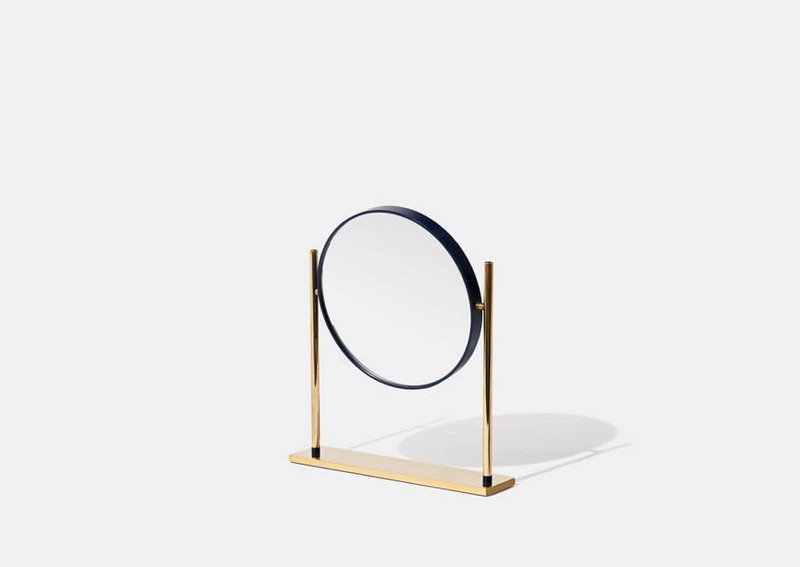 Mirrò is a small desktop and bathroom mirror, a precious linear object that displays its simplicity through its proportions and the colour of the band that frames the mirror. 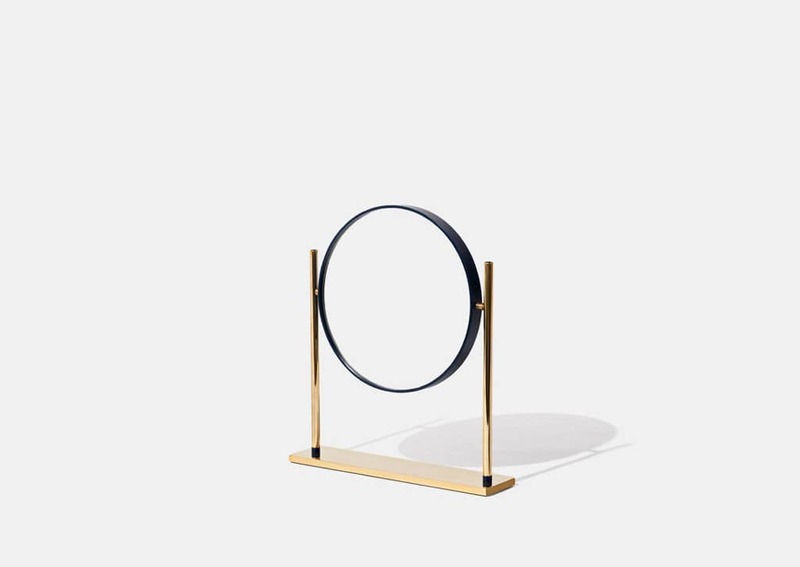 It is both elegant and serious in the choice of materials and in its blue-green shades. 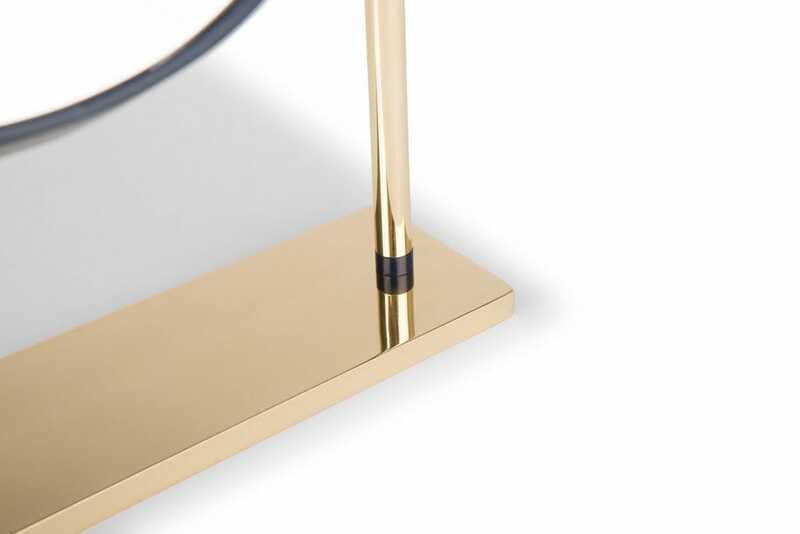 Entirely made of brass, characterised by three strokes of colour.